In the given problem, two resistors are connected in parallel and current passing through the system is given to us. We need to measure the flow of current in a particular resistor. We know that in parallel combination or resistors, the voltage flow is same and current across them is shared. It is shared in such a way that, the current in a element is inversely proportional to resistance. Basing on that concept, we can solve the problem as shown below. 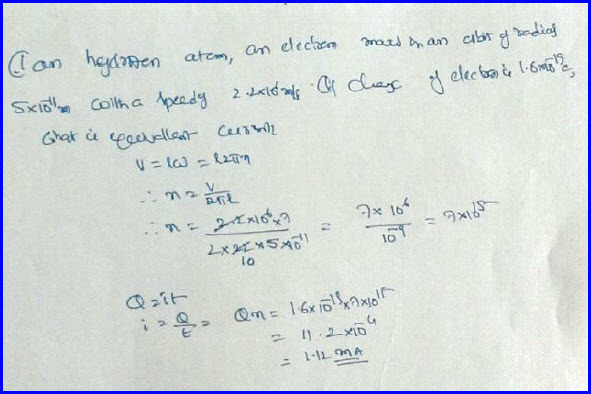 This problem is based on Kirchhoff’s first law. 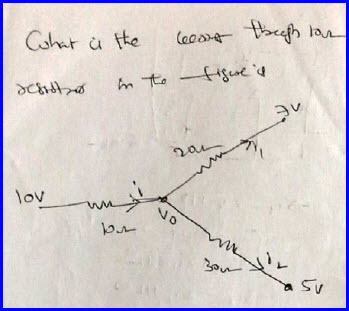 As per this law, the sum of the currents coming towards a junction is the sum of the currents leaving a junction. 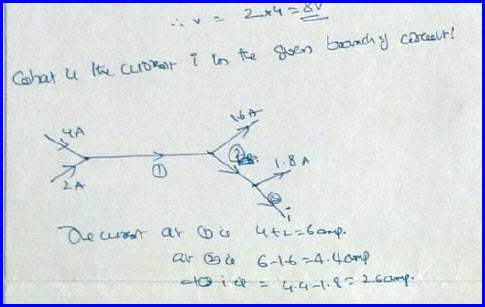 Basing on that we can measure the current in any branch as shown below. This problem is quite basic in nature and deals with the definition of current itself. We need to know the current in a system and we know that the current is defined as the rate of flow of charge or charge by time. We also know that the reciprocal of time is called frequency. Thus we need to find that to solve the problem. Linear velocity of electron in a orbit is given and basing on it we can measure its angular velocity. We also know that the angular velocity can be expressed interms of frequency Thus we will be able to measure the current as shown below. The problem is based on the connected elements in a circuit. 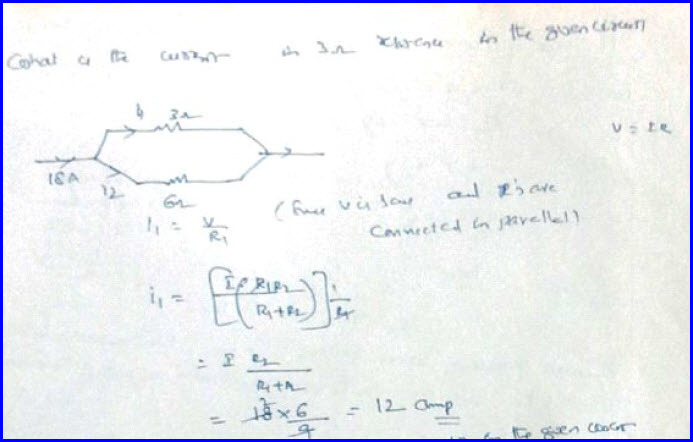 In the given problem three resistors are connected and we know the applied voltage at each end. We would like to measure the potential at the junction. The problem is as shown below. To solve this problem we can use basic concept of Kirchhoff first law. It tells you that the currents coming towards a point is the currents leaving the junction. 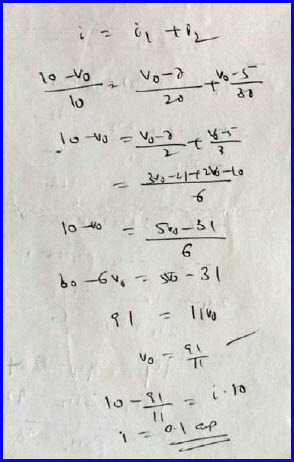 We can further write current across any element as the ratio of potential difference across it and its resistance. It is basic understanding that the voltage at the junction is more the starting point of the circuit and less than the other junctions. It is simply because current is passing from left to right in the circuit and current always flows from higher potential to lower potential. The solution is as shown below.